The three levels of fish species are surface feeding, mid-water feeding, and bottom feeder fish; it is important to know which type of fish you want to keep when starting your aquarium. Surface feeding fish maintain the aquarium floor by eating the food before it sinks while mid-water feeders contribute to the beautiful harmony in the aquarium. Most bottom feeders are colorful and useful species that cleanup work in the aquarium. Plecos are also known as sucker mouth catfish and is extremely popular with aquarists. Growing up to 18 inches,this fish is perfect for an average tank size. Plecos are nocturnal, though they have special eyelids to protect their eyes from the sunlight during the day. Hypostomus plecostomus is also referred to as the Common Pleco. The Sailfin Pleco is a similar-sized fish as the Common Pleco, causing much confusion among the species. Small Common and Sailfin Plecos are about 2 to 3 inches in length, but others can grow up to 18 inches. Due to their size, they cannot adapt to an average aquarium and often do not live long, thus feeding with a supplementary diet will prolong their life. Bristlenose Pleco is also known as Ancistrus, a small species that can grow up to 4-5 inches. These fish will breed in the tank.There are three diverse types of Bristlenose Plecos: the albino, the red, and the log finned. 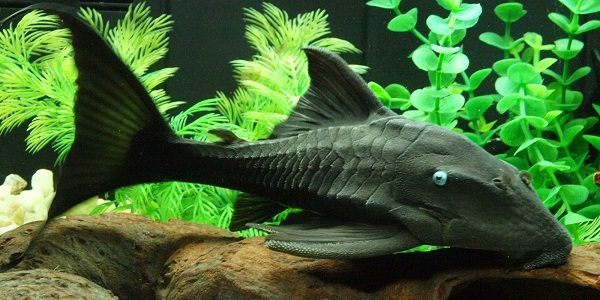 There are many kinds of Cory Catfish, however,the Bronze Cory catfish is the most popular. Cory catfish are very suitable for average aquariums and it is recommended to keep them in groups of 5 or more and with sand substrate. In the optimal conditions, they breed in the tank. Loaches are the most common bottom dwelling fish that come in several forms, sizes, and odd behaviors. For example, the Kuhli Loach and the Clown Loach are completely different from one another in size and temperament and the Weather Loach is famous for its sensitivity to atmospheric pressure. This species of bottom dwellers have compressed scales in the skin, which makes them sensitive to weather changes. Loaches eat snails so do not include any as part of the aquarium or they will be consumed. Yoyo loach grows up to 5 inches and requires a cave for security and to be kept in groups. Dwarf Chain Loaches are peaceful and need to be kept in groups, especially since their maximum size is 2 inches in length. Hill Stream loaches have a flattened body that requires fast flowing water and high levels of oxygen. Chinese Algae Eaters are very suitable for most aquariums, however, they grow up to 6 inches long and will try to kill other fish in the tank; to avoid this,feed them well. Crayfish, which are also known as craw fish,are closely related to the lobster. There are over 500 varieties of crayfish. They have bright hues in color, which can be red, white, or blue though the white is the least common.They can live up to two years in captivity and grow 2-3 inches in length. Tiger Shovelnose Catfish should be kept in a large aquarium since they may reach up to four feet in length. Although the wild habitat is appropriate for fish, a small form of the fish is suitable for standard aquariums. They are named for the tiger-like stripes that appear after they are about 6 months in age. Sturgeons are prehistoric creatures that swam the waters of Earth before the dinosaurs. They can be found in both saltwater and freshwater in North America. They look like they are five sided due to the five rows of bony plates around their body. Also, they don’t have teeth in the ventral mouth, thus barbels help them to locate food on the tank bottom. Carps are found in North America and are usually transported to Asia and Europe and are able to survive in the most polluted of waters. Common carps use their ventral mouths to grab the food along the bottom of the tank since their teeth are situated in their throat. Common carps eat algae, insects, larvae, and plants from the bottom of the aquarium. 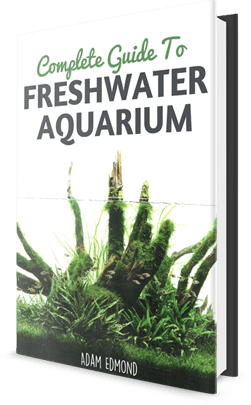 Whether you are looking for some additional help in keeping your tank clean or you enjoy the extraordinary appearance of some bottom-feeders, do your research so you know which one is best suited for your aquarium.